Six years ago today, Ktunaxa Nation made public their affirmation of their ʔaknumu¢tiŧiŧ with respect to the sacred lands and waters of Qat’muk – where Kⱡawⱡa Tukⱡuⱡakʔis, the Grizzly Bear Spirit, was born, goes to heal itself, and returns to the spirit world. 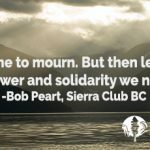 Sierra Club BC, on behalf of our members, our staff, and board of directors, stand in support of the Ktunaxa’s Qat’muk declaration, and their sovereign authority above the provincial government, to make land-use decisions about management and activities in their territory without exception. Sierra Club BC does not claim to understand the depth or level of importance of the relationship between the Ktunaxa and their ʔaknumu¢tiŧiŧ, the covenants given to the Ktunaxa by the creator, or the meaning of the place where the grizzly bear goes to dance. 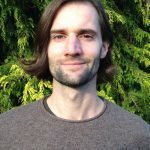 What we do understand is that the Ktunaxa have never ceded their territories to the Crown, that British Columbia has overstepped its authority and jurisdiction in granting land-use permits and approvals for corporate gain, and that the ecological integrity of this landscape is far more important than the interests of development corporations. Further to this, Sierra Club BC wishes to congratulate the Ktunaxa on their efforts to strengthen and revitalize the Ktunaxa national culture through their spiritual connection to Qat’muk. With respect, we honour, first, the Ktunaxa’s inherent and prior authority to their lands, second, their rights through the United Nations Declaration on the Rights of Indigenous Peoples, and third, their rights under the Canadian Charter of Rights and Freedoms. The areas known in the Purcell Mountain ranges as Jumbo, Toby-Jumbo, the South Fork Glacier Creek, Horsethief Creek, and Farnham Creek watersheds are some of the most important and central habitat for inland Grizzly Bear (Ursus Arctos), which is an umbrella species and an indicator species for ecological integrity and connectivity across the landscape. Where we find healthy populations of grizzly bears we find healthy natural environments. And where we find healthy natural environments, we find the opportunity for healthy, natural human relationships with the land and with each other. Sierra Club BC is looking forward to the exciting work of the Ktunaxa Nation Council on their management plan for the refuge area, buffer areas, and management strategies dictated by the Qat’muk Stewardship Principles. Sierra Club BC would also like to raise our hands to the leadership of local community members, our colleagues in other non-governmental organizations and encourage responses to the invitation from the Ktunaxa to other governments, non-governmental organizations, business proponents, local communities, and others to support and respect their spiritual traditions and practices linked to Qat’muk, and to help protect against desecration and destruction.